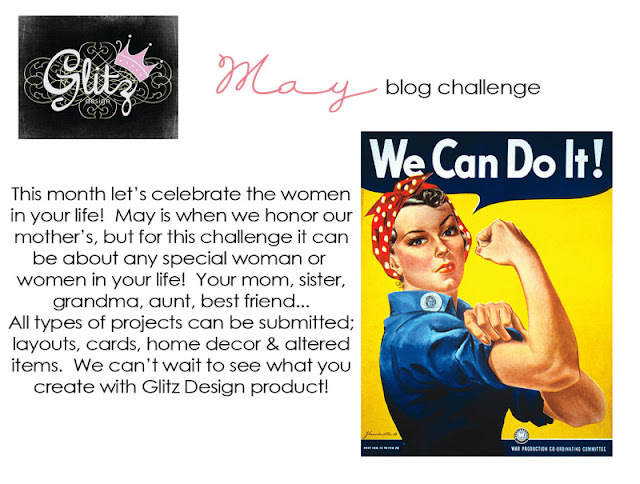 This month Glitz Designs has a perfect challenge that encourages everyone to make a project about special women in our lives. 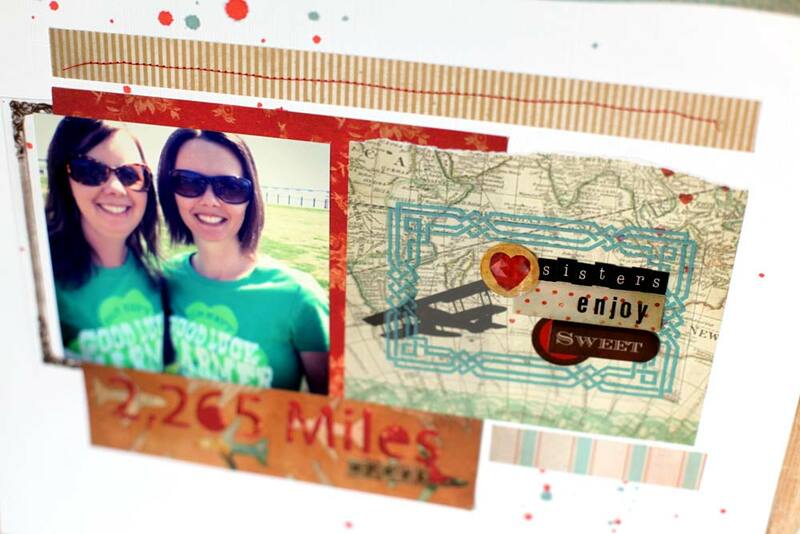 For the challenge, I decided to to a layout about my sister Melanie and I. We live on opposite sides of the US, so we don't get to see each other very often. (I do have two other wonderful sisters, but I do get to see them a lot more than I see Melanie!) Having a picture of us together is a rare treat. Our family got to travel to North Carolina for a visit with my sister and her family over our spring break, so I had a photo of us ready to use on a layout. The great thing about my sisters is that even if we haven't been together for a while we just pick up where we left off and have a great time together. 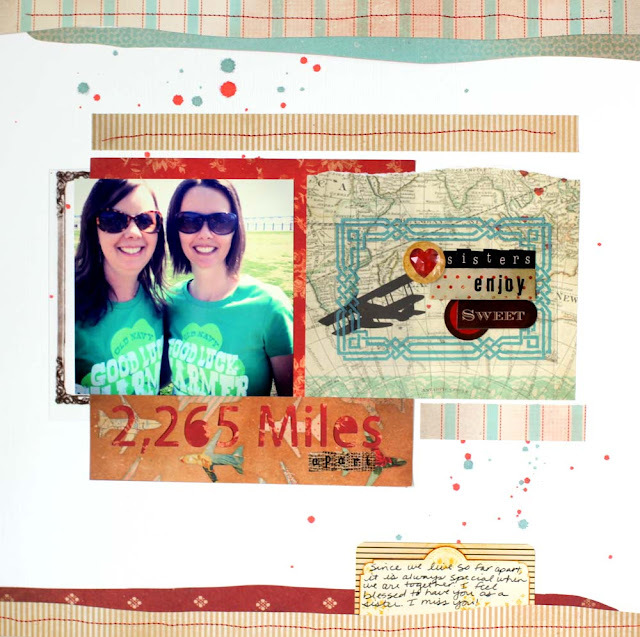 The Glitz Happy Travels line was perfect for this page. The airplane elements worked great since we flew to see each other. Plus the epoxy stickers said just the right words. For my second layout today, I used some photo booth photos plus an Instagram photo. My favorite thing on this page could be the "I Love Your Face" stickers. 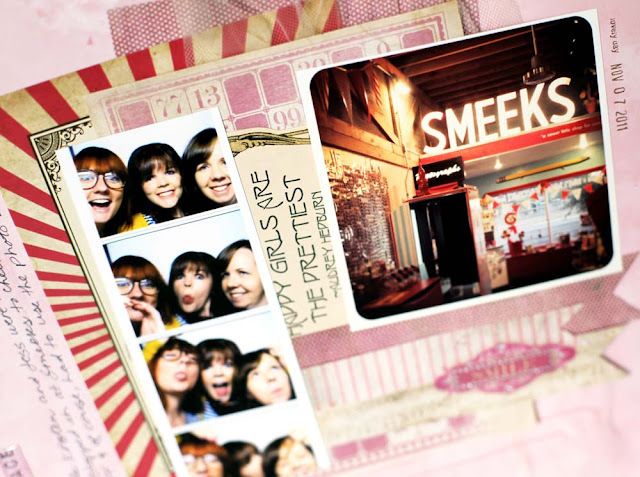 At first I thought it would be an unusual thing to say, but when I put it with these funny face photo booth photos, they were a perfect match. 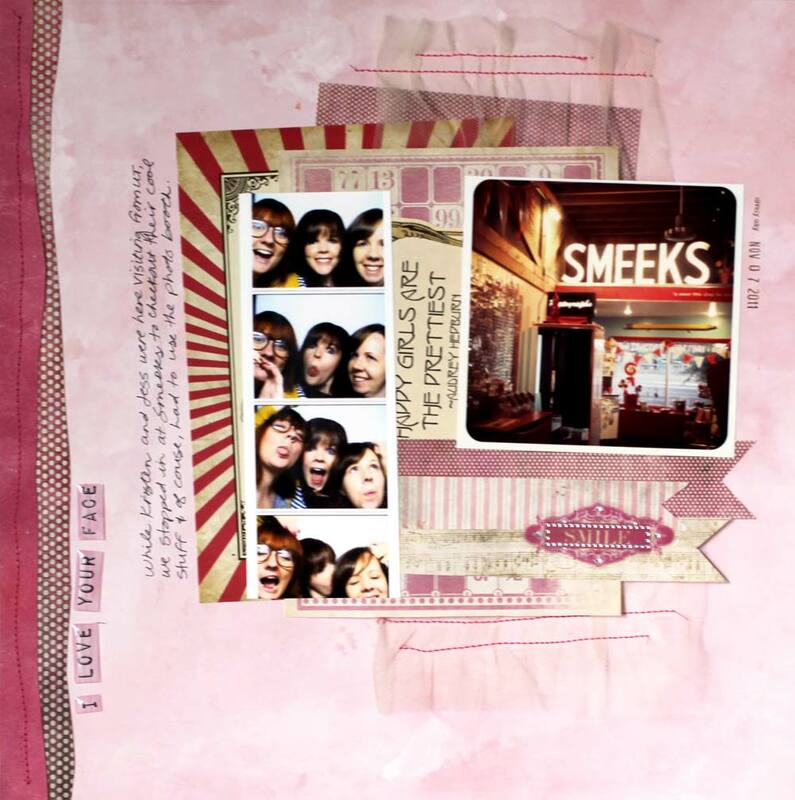 There are so many pretty things in the Glitz Pretty in Pink line and I just kept layering them up on this page. 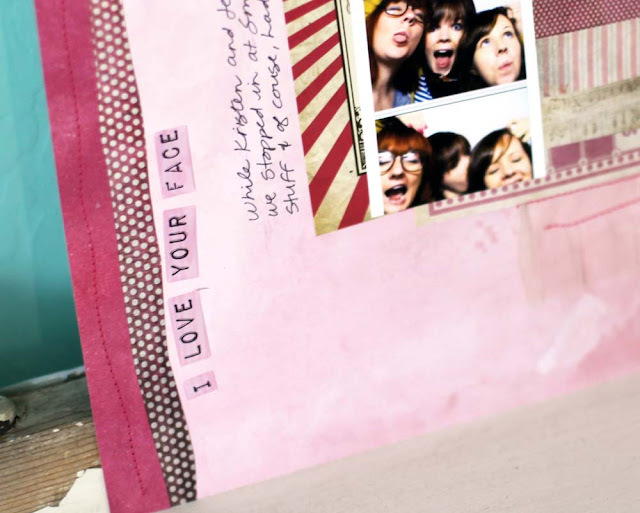 My favorite new Glitz product is the 6 X 6 paper pads. The small print and size are perfect for layering up. Plus I feel like I can cut up and use the paper pad because it won't run out as quickly as my more limited supply of larger paper. So, where do we share our project? I don't see a link, but would love to participate.